General car repairs can range from the every day servicing needs of your vehicle like brake pad or wing mirror replacement to the not so frequent things like having a new exhaust pipe fitted. With general car repairs it’s important to know that in many cases, you should get them put right as soon as you can. Sometimes, delaying repair work can cause further damage and in some extreme cases, not getting something fixed can be unsafe and illegal. Regardless of what your general repair needs are, we will be happy to help. The air conditioning system in your vehicle is not usually covered by most manufacturers servicing schedules and the refrigerant gas that is used to operate the system depletes over time. On average most vehicles lose up to 15% per annum. This leakage can be caused when then system is not used during the winter months. 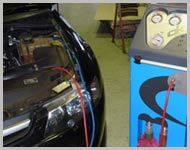 We have the latest Diagnostic technology to pinpoint any problems with your vehicle. At Lota Garage we can cater for all of your clutch repairs and replacement needs and can provide a free check while you wait. All new clutches are warrantied for 2 years or 20,000 miles. 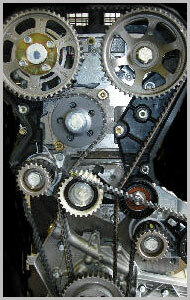 We repair gearboxes in all types of vehicles, manual or automatic automatic gearboxes. 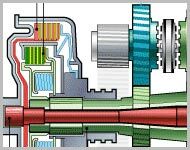 When possible, we will repair your existing gearbox or use a reconditioned gearbox to lower the expense to you. All of our car batteries are fitted free-of-charge and come with a full manufacturers’ warranty.